When posting your job, the payment rate can be found under the ‘What is the schedule and hourly rate?’ section. 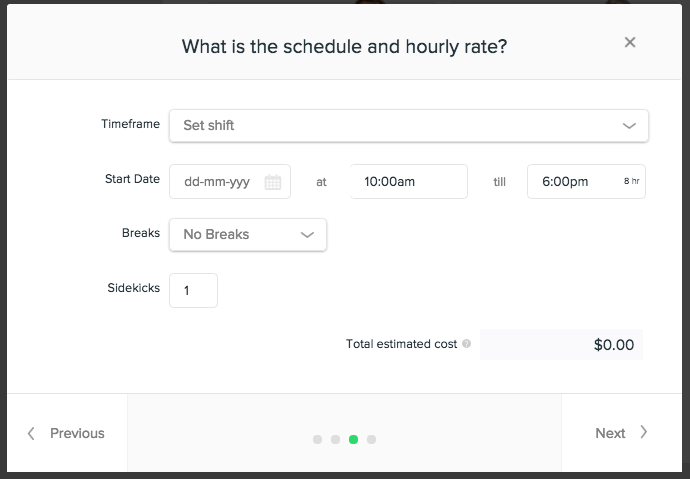 After selecting the date and time of the shift you wish to post, our Hourly Rate calculator will appear. 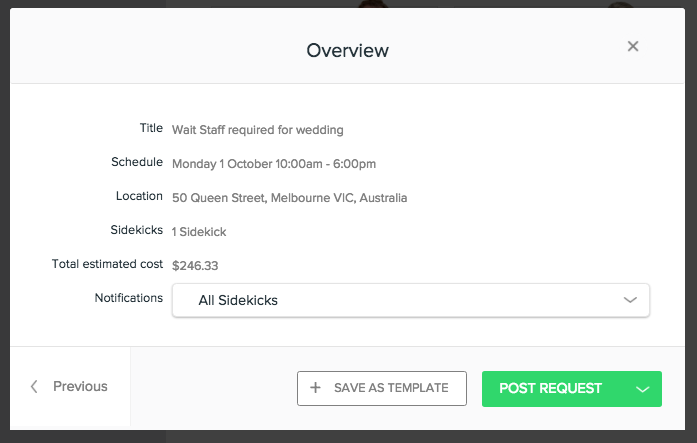 The rate shown is the suggested hourly rate the Sidekick should be paid. This rate can be changed by either manually entering a new amount, or using the plus sign to increase the rate. 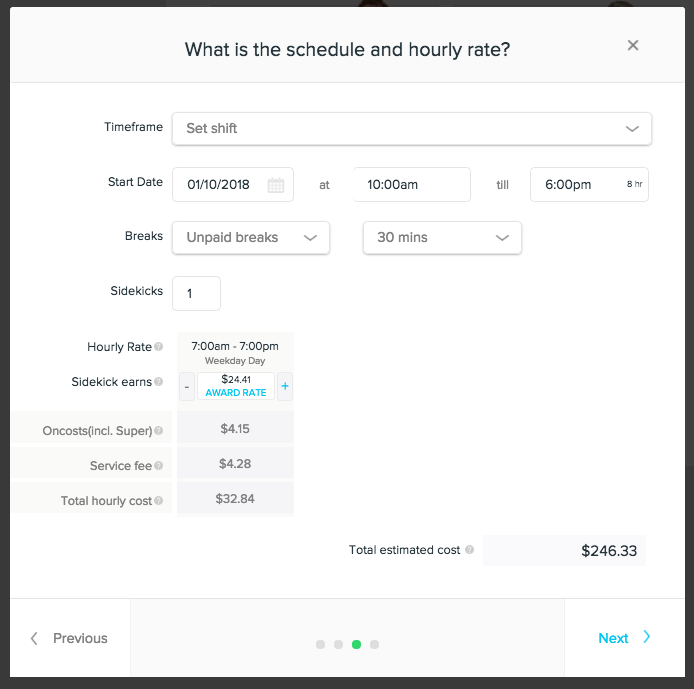 The Rate calculator will also display the breakdown of the total estimated cost, including the total on-costs and service fee. You will then be able to review and confirm these details on the next page before posting your request.